At my first launch party, for Blood and Groom, there was a wedding theme (albeit a rather macabreone). Given the love and marriage backdrop, it seemed fitting that we did a champagne toast after the reading. At the launch party for Dead Light District, we did a toast with tequila. 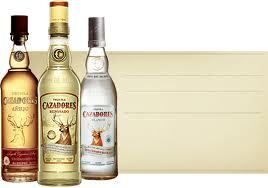 One of the main characters in Cazadores is one of my favourite brands. 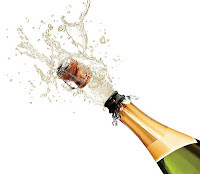 The third book, The Lies Have It, will be out in November, and I'm busy now planning the launch party. 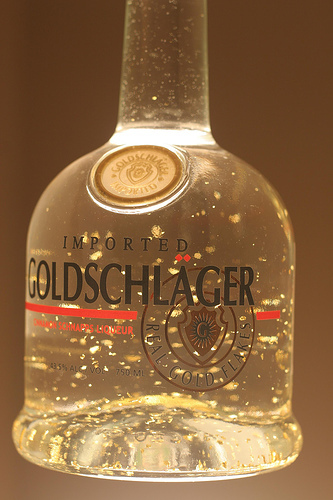 Goldschlager for this launch. Visually and in terms of the flavour and style of the drink, it fits well with the plot, which this time around centres on the fetish world and politics.